Verona is a historic and beautiful destination in the Veneto region, in Italy. With over 265 000 residents, it is a city intersected by the wandering and enchanting Adige River. Verona offers you the chance to indulge in the classic Italian charm, culture and cuisine. The city’s top attractions include Piazza Bra, Torre dei Lamberti, and Lake Garda. Prepare yourself to enjoy a wonderful holiday in this alluring destination, because cheap flights to Verona are now available for a limited time! Verona is the home of Verona Villafranca Airport (VRN), which is a 20-minute drive or a scenic 20-minute train ride to the city centre. Verona is a classic example of what a beautiful Italian destination offers. Explore numerous historic sites, monuments and structures, such as Torre dei Lamberti, Scaliger Tombs, and Piazza dei Signori. 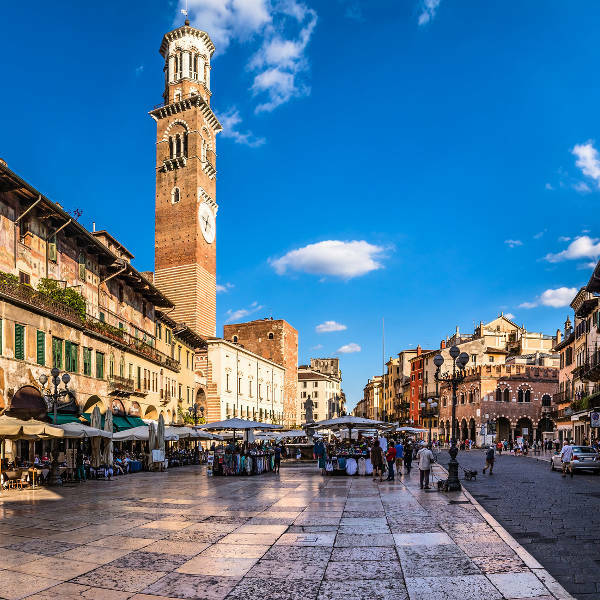 Discover the variety of cafés and restaurants in the vibrant squares of Verona, with notable names including Nastro Azzurro, Osteria Mondodoro, and Trattoria dal Gal. 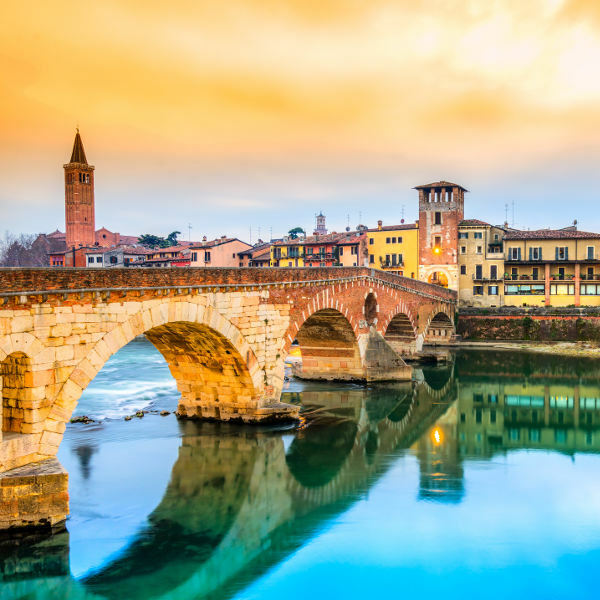 With the city divided nearly halfway by the Adige river, and the wealth of gorgeous man-made structures, you’ll have a wonderful time exploring the streets of Verona. The summers (June – August) in Verona reach average temperatures of under 30°C while the winters (December – February) reach just below sub-zero temperatures. The highest volume of rainfall is in June at around 100 millimetres while the rainiest days are in April, at around 15 days. While the most popular time to visit lies in the summer, consider having your holiday in the spring (March – May) and the autumn (September – November). April to May and September to October bring warm and moderate temperatures, with occasionally high rainfall. While you can expect comfortable heat levels, make sure to have an umbrella or raincoat ready for those rainy days. The city of Verona boasts an exceptional history. Formerly the backdrop to William Shakespeare’s most famous play, Romeo & Juliet, this destination furthermore includes a wealth of historic architecture and sites, such as Juliet’s House and the Statue of Dante Alighieri. 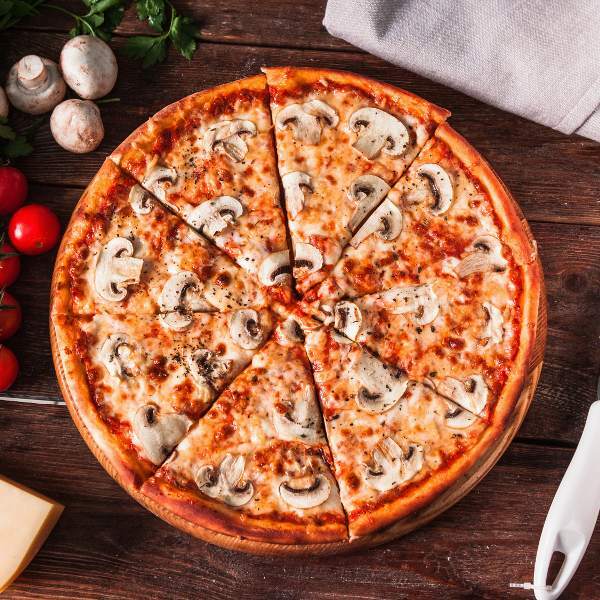 Treat your taste buds to an adventure with all the restaurants and cafés in Verona, like those in Piazza Bra, including Emanuel Cafè and Ristorante Pizzeria Olivo 1939. Catch a classic performance at venues like Teatro Filarmonico di Verona and Villa InCanto Opera Lirica. Don’t forget the shopping culture in this Italian destination, with establishments such as Carhatt WIP and Chesini. When you just want to slow down this adventure, spend time in the Giusti Palace and Garden and peruse the collection at the library of Capitolare Verona. Compare several airlines, and book your cheap flights to Verona online at Travelstart. While the level of crime in Verona is low, be careful, especially if you visit during the peak tourist season (June – August). With the crowds of tourists, you may stand the risk of being pickpocketed. Always ensure your possessions are in a secure place on your person and out of sight. Make sure you visit your local doctor to receive all the routine vaccinations four to six weeks before your trip to Verona. Depending on what you intend to do and where you intend to go when in the city, you may also require vaccinations for hepatitis A, hepatitis B, and rabies.